Perhaps nowhere is this more true than in the relationship between parent and child. Research has found that the most effective way to inspire children is to allow them to observe their parents in their own bliss. Take music. Those who grow up in households where rhythm and melody are a part of the chorus of daily life–whether it is Dad stirring the spaghetti sauce to the sounds of Coltrane, or Mom performing with aunts and uncles in the local nightclub–the children of these music lovers tend to want to keep this vibe pulsing in their own lives as adults. This week I interviewed artists from two distinctly different musical genres–Latin Jazz and indie folk–very different vibes, certainly, and yet both Luiz Santos and The Marshall Pass share something rather lovely in common: both grew up with music pulsing all around them. Deanna Elaine Piowaty: It usually takes me a few listens before I allow myself to become fully seduced by a new artist, but Phantom Train got me from the very first song. There is an intimacy here, an authenticity. One gets the feeling that your music is as much a gift for yourselves as it is for your fans. Duncan Arsenault (instrumentals): We didn’t set out to create a particular vibe. The songs began to take shape and they naturally sounded the way that they do. Our only goal was to write and capture the mood we were in. Listening to music always takes me someplace and writing these songs was a way of creating someplace new for my mind to go. If listeners go to a similar place, that is great, but as long as they go somewhere, I’m happy. Deanna Elaine Piowaty: How did you come to form this duet? What are your musical backgrounds? Duncan Arsenault: I have been making music my whole life. I grew up going to see my father play Blues in some of the same clubs that I play in today. When I was seven years old, I stopped wanting to be an astronaut and started wanting to be a musician. I’ve been completely obsessed with music ever since. The Marshall Pass music started as instrumental songs I was writing to give to my friend Scott Ricciuti, for our band, Pistol Whipped. I am a drummer but have always played these other instruments around the house. I was encouraged by Scott to play and write more, so I thought he could take these songs and improve them. I played a couple instrumentals for him that he liked, and he was going to try and write lyrics and melodies to them. In April of 2012, Scott died in a car accident. This destroyed everyone I know in our music community in Central Massachusetts. Soon after, Craig and I were talking about how prolific Scott was. We both admired the honesty in his music and his commitment to songwriting. 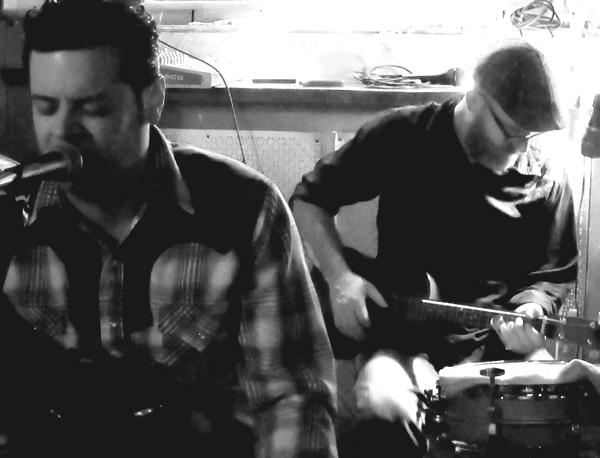 Our original idea was to start a band and start writing music that would feel right playing in the particular mood we were in after losing our friend: a mix of Soul, Blues, Country and Rock, that we could use to get some water under the bridge. Before we had a chance to start that band, I played Craig the songs that would become “Abilene ” and “Stranded in Perdition .” He took these tracks home, and a few weeks later, he called to say he had written lyrics. He came to my house and we recorded the vocals. I was thrilled with what Craig had written and I can’t imagine the songs any other way now. After that, we were excited about the the sound we were making, and I began writing more songs. Eventually we named ourselves The Marshall Pass and released them. Deanna Elaine Piowaty: I hear a little of Blues Traveler in Craig’s vocals for “Blue and Gray ,” and a tinge of that Bobbie Gentry vibe in “Boot Hill Bound.” Whom do you see as your major influences? Craig Rawding (vocals): I have listened to and absorbed so many singers over the years from so many different genres that hopefully at this point it’s gone through the filter and comes out as ‘me’ – haha! But some of the singers who have influenced me over the years are Otis Redding, Van Morrison, Jim Morrison, Howlin’ Wolf, Bono, and thousands of others. Deanna Elaine Piowaty: When we think of country or blues we don’t necessarily think ‘feminist,’ but there is a definite empathy in your lyrics for the women who people your songs. I’m thinking of “Abilene ,” “Blue and Gray “ and “California Blue “ in particular. Was there a specific woman or women who inspired these stories? Craig Rawding: I usually don’t know who or what I’m writing about when the lyrics first come pouring out. It’s usually when I look at it after I’m done that I realize which part of my subconscious opened up and influenced the words. Hopefully, the lyrics are just ambiguous enough that the listener can put an interpretation to the song that is meaningful to them personally. In hindsight, I would say that “Blue and Gray “ refers to my ex-wife, and “California Blue ” is a fantasy scenario about my girlfriend (also a singer) getting signed and becoming famous, and me flying out to L.A. to sing backing vocals on her major label debut. “Abilene ” is about Ruth Buzzi. Just kidding. Deanna Elaine Piowaty: Do you see yourselves as musicians or storytellers first? Do you always begin by laying down the melody and then adding the lyrics? Or is it different with each song? Duncan Arsenault: I’m a musician. We tried writing a couple different ways but have settled into a method that seems to work for us. I will typically get the form of the song and produce it to the point that it has a mood that feels right. It could be one track of guitar or something more elaborate. Then I’ll send it to Craig and let him sit with it for as long as he wants. Craig Rawding: I would say that I’m a musician first. I love writing songs, but I must admit I get more of a thrill from collaborating with other people than working alone. I think to consider oneself a songwriter first and foremost means that you are committed to sitting down with a guitar or piano and pen and paper and really working at it every day. I’m not that disciplined! I don’t strictly write lyrics in a storytelling style, but this batch did lean that way. And I think it fit the atmospheric vibe of the music that Duncan created. It has a certain cinematic quality, but not in a grandiose way. Deanna Elaine Piowaty: Is there one song in particular that you each feel particularly attached to? Duncan Arsenault: “Abilene “ and “Stranded in Perdition “ were the first songs we finished so I am partial to them; but honestly, I am attached to them all. Deanna Elaine Piowaty: Have you ever been surprised by a reaction to one of your songs? Do you have a sense going in which ones will most deeply resonate with your fans? Duncan Arsenault: The reaction to the album has been more than I could wish for. These songs are comforting to me and people have told me that they also find comfort in them. Craig Rawding: I knew that the music we made was good because we both liked it, and I’d like to think we have discerning tastes when it comes to music. I suppose we all think that, right? But I was unprepared for the reaction I get from people who’ve heard it. They seem to go beyond just liking it and seem to be deeply moved and affected by it. That’s very gratifying and validating and I didn’t expect it. 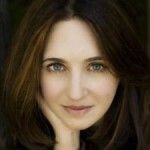 Deanna Elaine Piowaty: The worst thing about being a musician? Duncan Arsenault: It has to be carrying the drum hardware bag. Craig Rawding: The money rewards versus the time and effort spent. A tie-in to that would be dealing with certain club owners and promoters. Deanna Elaine Piowaty: The best? Duncan Arsenault: Playing a song and knowing that you are connecting with people. Craig Rawding: A live show with a packed house that is loving what you do is a great feeling. But I would have to say my biggest high is when a band I’m in has crafted a song that we’re really proud of and we’re able to get a recording of it down while it is still in that ‘new and magical’ stage. That’s a great feeling because you know it’s kept for posterity. Deanna Elaine Piowaty: Craziest performance experience? Duncan Arsenault: I was playing drums with Shana Morrison, opening for Eric Burdon & The Animals and Rare Earth in Albany, New York. The story requires two parties to tell it properly, but I will tell you that it involves acid, an abandoned vehicle and a very angry Eric Burdon. Deanna Elaine Piowaty: Peak experience so far? Craig Rawding: Playing The Newport Jazz Festival with Heavy Metal Horns back in the ‘90s was a memorable show for me. It was my first gig with them. Before that I had only played blues bars around Worcester with local bands. No pressure! Deanna Elaine Piowaty: Where do you see yourselves taking your music next? Duncan Arsenault: We will be writing at a different time in our lives, so I hope the music can reflect where we are when we write it. If we are being honest with ourselves and the music, we can’t predict what it will sound like. Craig Rawding: I agree. I think if we try to duplicate the same vibe or preconceive a new sound it will end up sounding contrived and forced in some way. Deanna Elaine Piowaty: And my final question. With all of us becoming increasingly plugged-in to cyber-space, do you see young musicians coming up less willing to put in the time necessary to perfect their craft? Is there just too much distraction now? Duncan Arsenault: I think anyone who really wants to get good at their craft intrinsically knows there is always work they need to do. The great musicians I know never think about the time they are putting in. 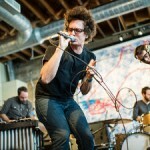 They seem to be driven simply by the desire to make more and better music. There will always be people who are not willing to put the time in. I don’t blame the current distractions. There will always be good music to listen to. I don’t think I have ever had this much access to great music. 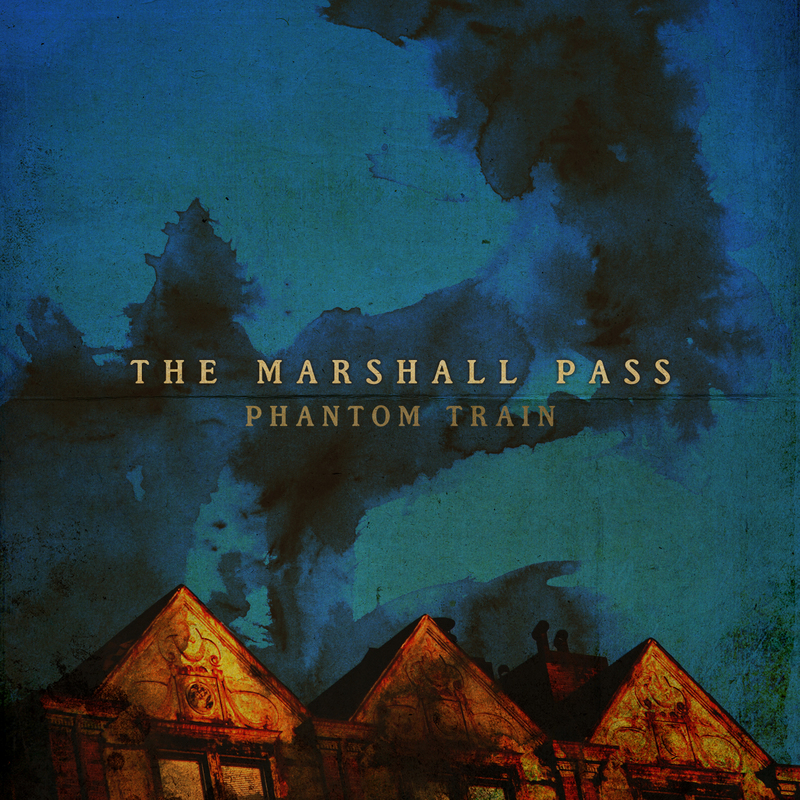 The Marshall Pass album, Phantom Train is available digitally via iTunes, Bandcamp and Amazon . Their CD is available exclusively at CDBaby. Deanna Elaine Piowaty: What inspired you to become a musician? 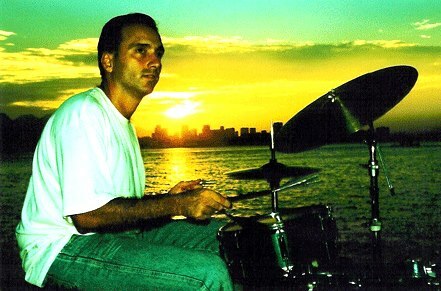 Luiz Santos: I never had an actual teacher, but I started playing percussion at home with my parents when I was five. Then I got a drum set at age nine. By time I was fourteen, I was playing professionally in Rio de Janeiro, Brazil. A year later, I started expanding my musical expedition to piano and began experimenting with all different styles. My mom played classical piano, so she had some great theory books. I studied them and taught myself to read and write music. Chamber and jazz. 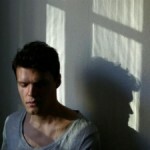 It was a wonderful time: I would just sit at the piano and started composing. I explored how to combine new elements within a well-structured composition. My focus now is on developing my own sound by merging my roots with the sounds of American jazz. I enjoy taking my fans on this journey with me. Deanna Elaine Piowaty: There is a freedom in your arrangements, a sense that there’s a party in progress. At the same time, within your swirls and dips and leaps, there is a clear structure, a well-choreographed dance. What sort of pictures play across your mind as you compose and play? Do they change with each performance? Luiz Santos: My compositions are inspired by the dense, tropical atmosphere of Rio de Janeiro where I grew up. Those beautiful beaches, mountains and rivers. 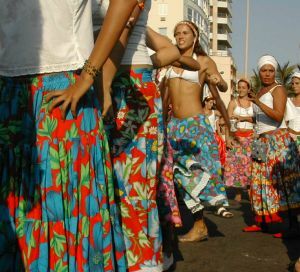 And also by Brazil’s diverse cultural-ethnic fusion. Brazil has probably the most mixed-race people on earth, which embodies a very unique blend of sounds. I envision this diversity when I compose and perform my music. Deanna Elaine Piowaty: What is it about jazz that speaks to you? Is there a sense of danger? That feeling of loosely-controlled abandon? Luiz Santos: Jazz is a musical expression that transcends “genre.” For me, Jazz inspires freedom! It is like a painter and his canvas. When he looks at the empty canvas he is free to create. There are no boundaries. Either you create those boundaries or you transcend them. Deanna Elaine Piowaty: When you sit down to compose a new piece, where do you begin? With what is familiar, that which connects you with strong memories? Or with questions? A sense of wanting to explore the unknown? 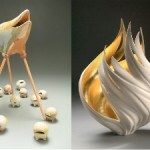 Luiz Santos: It is very much about diving into the unknown to attain a deeper experience. Without competition or judging, or preconceived ideas. Total freedom. But built on the foundations of Afro-Brazilian and jazz, which connects the past to the future. Deanna Elaine Piowaty: Do you find that music has a way of connecting people? Is music indeed a universal language? Luiz Santos: Absolutely, sound is similar to the wind. It is not seen but it touches the soul. And moves us to respond: by dancing, shouting, by expressing our emotions. Deanna Elaine Piowaty: As you go through your day, do you hear rhythms in the city life around you? Luiz Santos: Yes, Rio de Janeiro has a very special groove to it in its tropical landscape. There is a very fine freedom in the environment because everything sounds like music. A city like New York is very lively. What some might consider to be noise others may hear well-defined harmonies. There are definitely melodies going on. Fast-paced rhythms and polyrhythmic do occur as well. Deanna Elaine Piowaty: In your opinion, the greatest musician who ever lived? Luiz Santos: That is not an easy one. There were many greats in the past and there are some still alive today. I’ll say John Coltrane because he was so free in his pursuit of the ”Love Supreme.” I am grateful that we have Chick Corea, Wayne Shorter, Keith Jarrett, Egberto Gismonti & Hermeto Pascoal and McCoy Tyner today. Great musicians all. Deanna Elaine Piowaty: Is there ever a fear that one day you will wake up and no new ideas will come to you? 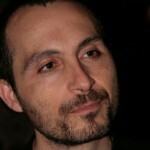 Luiz Santos: I have so much to express as a writer and composer that it is hard to have any kind of fear. I am constantly tapping into the new. Actually, I believe that all people have unlimited potential, if they don’t loose hope. 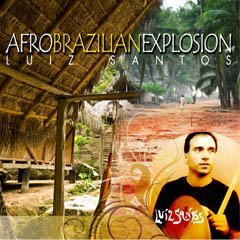 To listen to or order Luiz Santos’ music, visit his page on Amazon.com .